A judge will hear more arguments Tuesday about whether injuries to soldiers on a search mission should be allowed as evidence that U.S. Army Sgt. 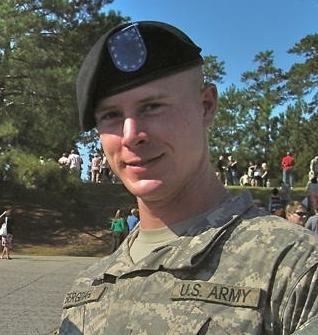 Bowe Bergdahl endangered comrades by walking off his post in Afghanistan. Prosecutors are arguing that two wounded soldiers' injuries should be allowed as evidence to show that Bergdahl's disappearance effectively put other military members in harm's way. Bergdahl, who's from Hailey, Idaho, is charged with desertion and misbehavior before the enemy, the latter of which carries a maximum penalty of life in prison. U.S. Air Force Maj. John Marx testified about a firefight that occurred after he and several others joined about 50 members of the Afghan National Army on a search for Bergdahl. They were attacked by enemy fighters after setting up a checkpoint near a town in Afghanistan on July 8, 2009.